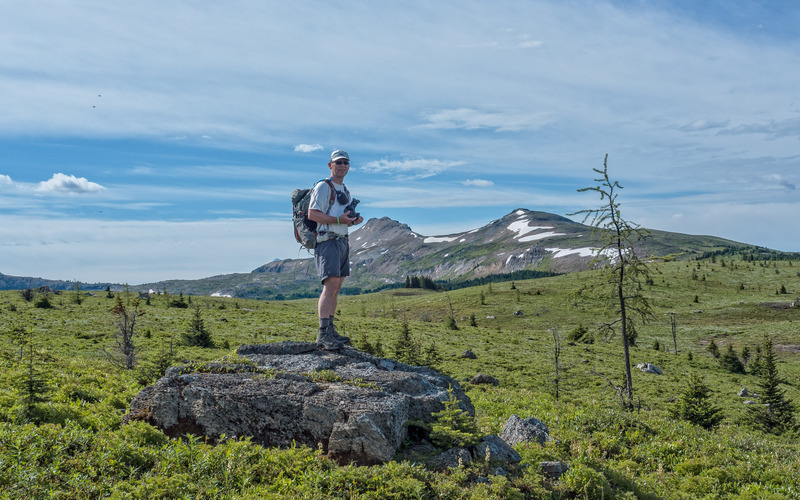 Seven years after we first hiked to Citadel Pass, two things prompted us to return: first, there’s gondola service to Sunshine Village (weekends only); and second, my torn ACL has got us seeking out lower elevation gain hikes for the 2016 hiking season. 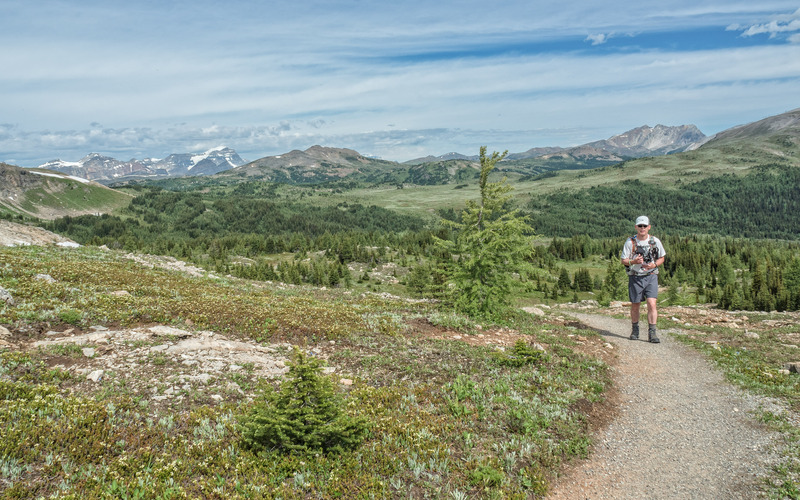 In addition to the Sunshine Meadows high alpine wildflower/larch viewing trails, Sunshine Village serves as an alternate starting point to hike to Healy Pass (via Simpson Pass) and Mt. Assiniboine. 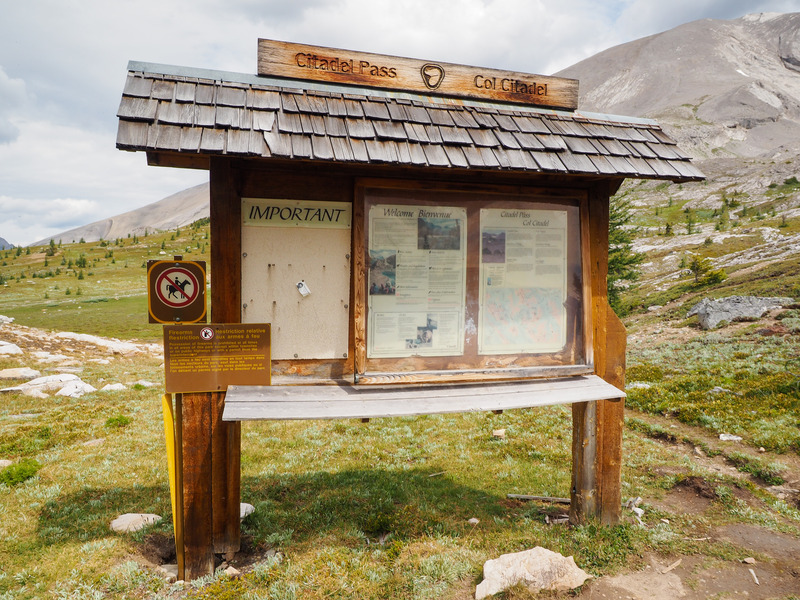 More than 9 km from the trailhead, Citadel Pass is only about a third of the way to Mt. 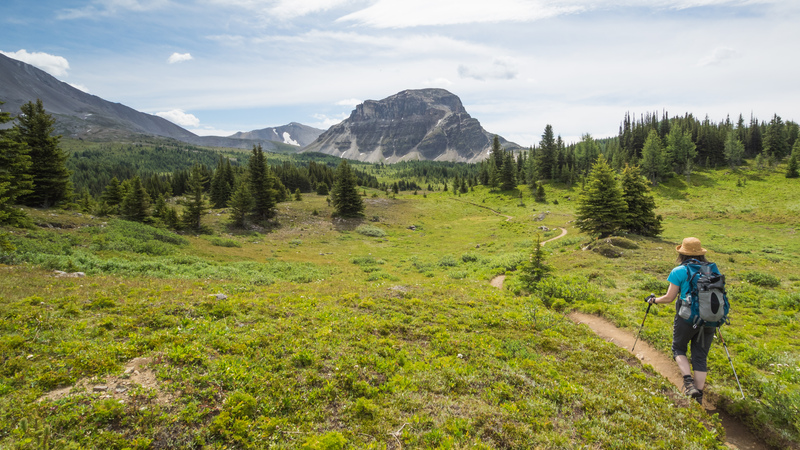 Assiniboine, but an ideal distance for an out-and-back full day hike. 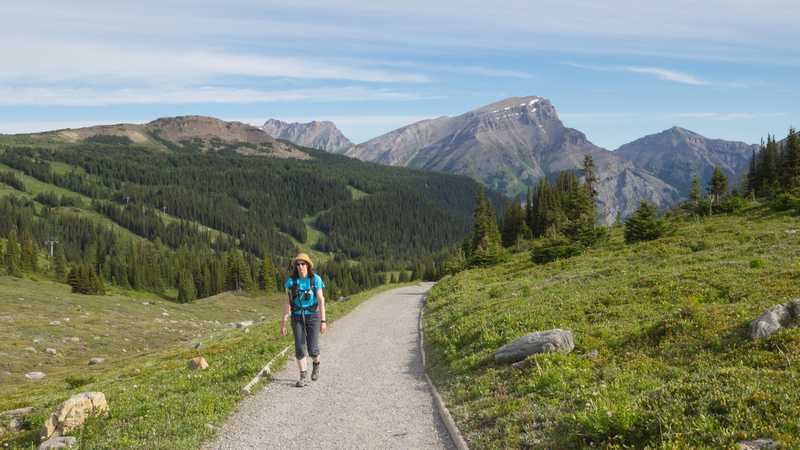 NOTE: This hike is in Banff National Park. Park entry fees apply. See the Parks Canada website for details. Summer operation of the Sunshine Village gondola commenced on July 1st. The gondola runs from 9 am to 6 pm on weekends (Friday through Sunday plus long weekend Mondays). I haven’t been able to find anything definite on when the gondola will cease summer operation, so if anyone reading this knows, please leave a comment to let us know. We paid $39 + GST = $40.95 pp. The optional Standish quad chairlift (which runs from Sunshine Village to the summit of Mt. Standish) costs another $13 + GST = $13.65 pp. Discounts are available for ski season pass holders, people who can show proof of buying a Calgary Stampede 2016 admission ticket and with coupons. See the website for details and current prices. The gondola climbs about 500 meters in 20 minutes. After disembarking, we headed uphill towards the left (following signs for Rock Isle Lake and Mt. Assiniboine). 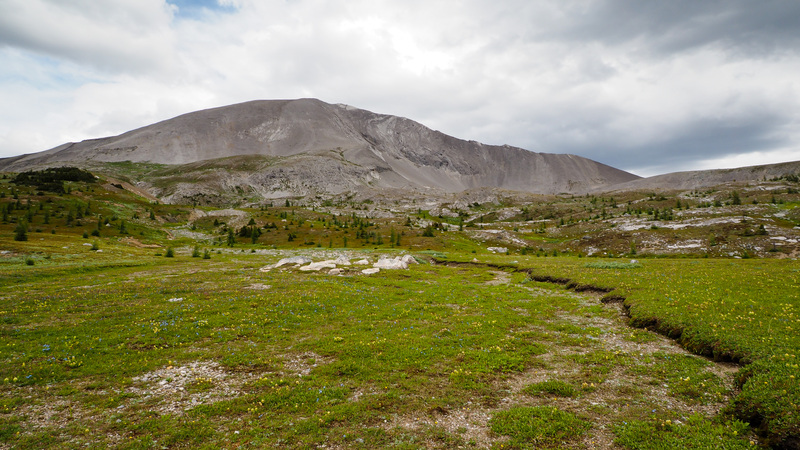 Watch for information signs along this front section of the trail; they explain hummocks, provide interesting factoids about the Continental Divide and explain how and why patches of evergreen trees are growing at 2200+ meters. 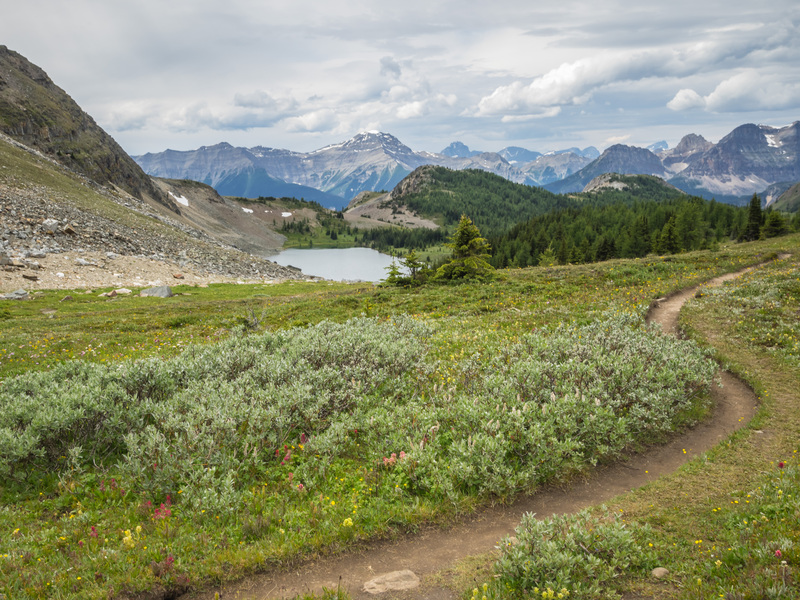 About 1.2 km along (15 to 20 minutes) there’s a fork in the trail: right to Rock Isle Lake or left to Quartz Hill, Howard Douglas Campground, Citadel Pass and beyond. After talking it over, we decided the position of the sun would be a problem for photography if we waited to visit Rock Isle Lake on the way back, so we opted for an early detour. The short side trip to Rock Isle Lake adds less than a kilometer (< 20 minutes) to the hike. It’s a small investment with a big scenic payoff. After retracing our route back to the fork in the trail, we took the one less traveled. Heading roughly SSE for 8 km (5 miles), we descended into and climbed out of two small valleys before arriving at Citadel Pass shortly past noon, just in time for lunch. The trail is well-established and easy to follow. In addition to a colourful range of wildflowers we spotted a male Mountain Bluebird, several other songbirds and plenty of Columbian Ground Squirrels. The snow patches on Quartz Hill reminded us of our 2015 exploration of Iceland. 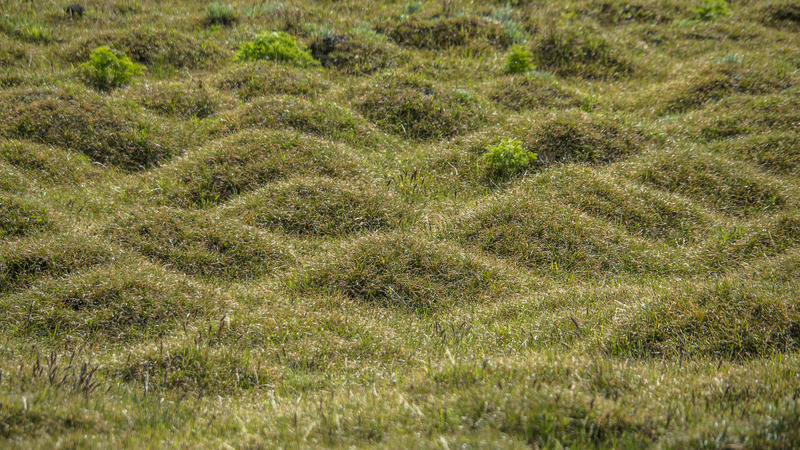 Snow patches on Quartz Hill in late July reminded us of Iceland. This photo was taken a few minutes SSE of the fork in the trail. Hummocks just off the trail. There are several such patches along the route. They are relatively subtle, so you have to pay attention to spot them. Making progress towards Quartz Hill. That’s me in the distance! Mr. GeoK cresting the shoulder of Quartz Hill, finishing the short climb out of the first valley between Sunshine Village and Citadel Pass. There is no visible water in the valley, just a broad meadow that was surprisingly bereft of wildflowers. 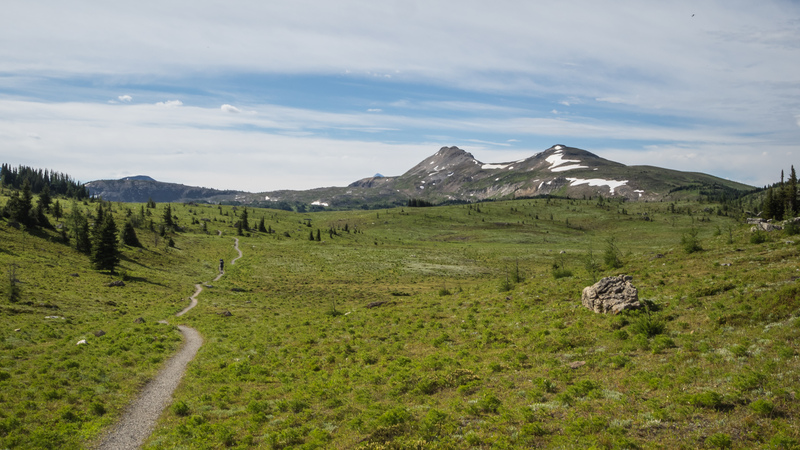 After cresting the shoulder of Quartz Hill, the trail descends towards Howard Douglas Lake. If the sky is clear, this is also the first time you can see Citadel Peak and the cone of Mt. Assiniboine. 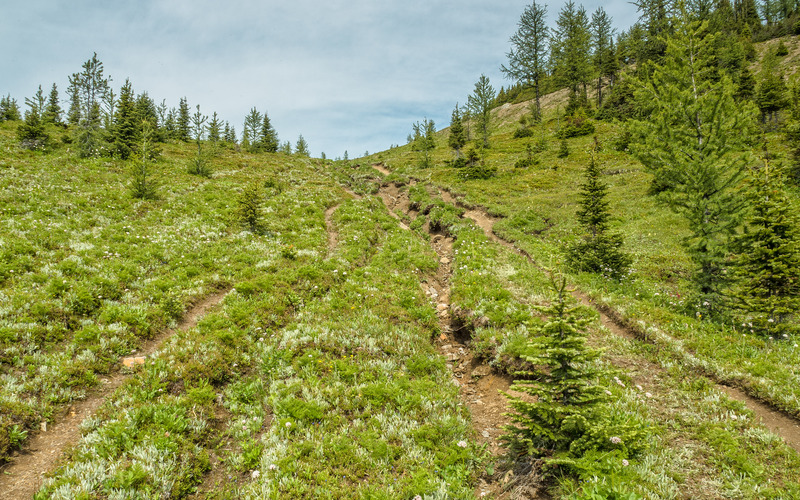 There’s extensive trail braiding on the descent to Howard Douglas Lake, which sits in the second valley. There’s a small back country campground at the lake. Approaching Citadel Peak. There is a small creek crossing this meadow, but it was easy to rock hop across. The closer we got to Citadel Peak, the more wildflowers we saw! We reached Citadel Pass about 3 hours after getting off the gondola. A group of four backcountry campers on the way back out were already there eating their last meal of the trip. Another 6 or 8 people hiked through the pass while we were there. The sky started clouding over while we were at Citadel Pass, and rain/thunderstorms were in the forecast for the afternoon. We debated whether to carry on at least part way to Fatigue Pass or start back and eventually decided to extend our hike towards Fatigue Pass for about 15 minutes before turning back. The trail towards Fatigue Pass heads up and across the hill behind the Citadel Pass sign. 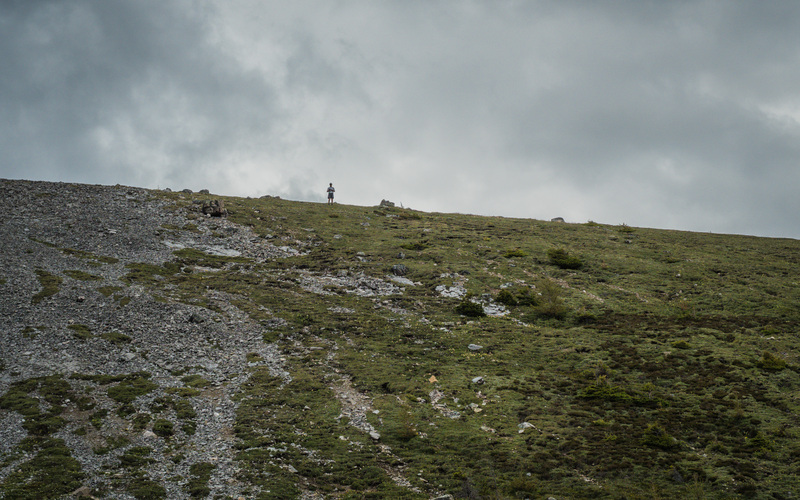 The first couple of hundred meters are visible, but after that we had to watch carefully for cairns marking the route. Stacked rocks marking the Fatigue Pass trail. 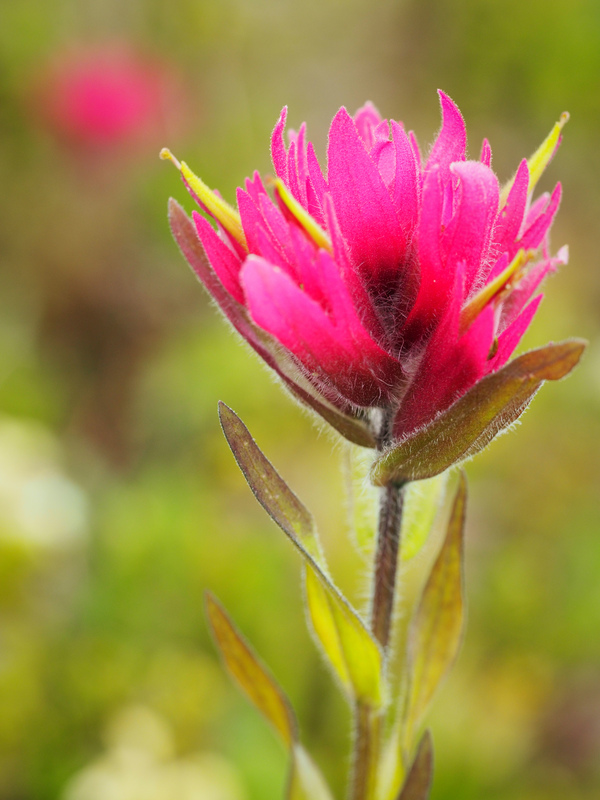 The wildflowers were absolutely fantastic here! I’m on the trail, but it’s hard to follow. Keep a sharp lookout for the stacked rocks marking the route. 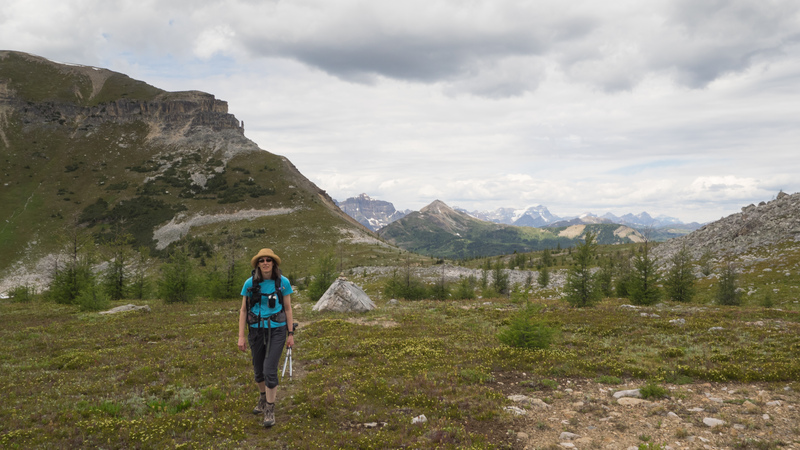 We made our decision to hike part of the way along the Fatigue Pass trail based on a recommendation in Don’t Waste Your Time in the Canadian Rockies, 7th Edition. Mr. GeoK climbed higher than I did and came back with the opinion that the views don’t really improve with the elevation gain. 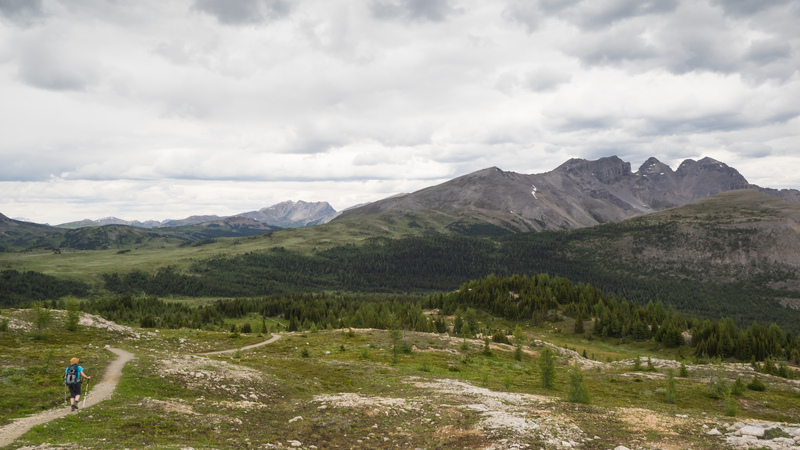 I only hiked about 750 meters along the trail and enjoyed some much better views of Mt. Assiniboine from there. Mr. GeoK hiked to the top of the first ridge on the Fatigue Pass trail. Citadel Peak viewed from the first ridge on the Fatigue Pass Trail. I am but a speck down below. Another view from the ridge. Cirque on the side of Mount Fatigue viewed from the trail. There’s some white rock in this area that’s different from what we saw elsewhere along the trail. Our decision to explore part of the trail to Fatigue Pass added 1.5+ km (50 minutes) to our hike. The extra time and distance paid off if with a better view of Mt. 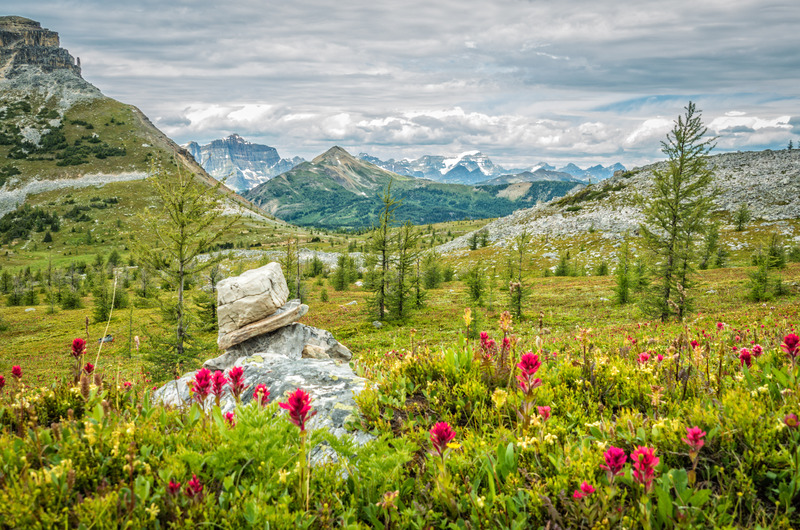 Assiniboine, tons of wildflowers, a sense of being a little more off the beaten path and bugs! There were way more black flies and mosquitoes here than anywhere else along our route. Mr. GeoK said the view didn’t really improve by hiking up the switchbacks. We moved at a slightly quicker pace on the “and back” portion of our hike. Rain threatened from the west and we hiked in light rain showers a couple of times (nothing serious enough to warrant digging our rain gear out from our packs). Although the scenery was familiar from the “out” let of the hike, as always there were aspects of the landscape that are better viewed from the other direction. 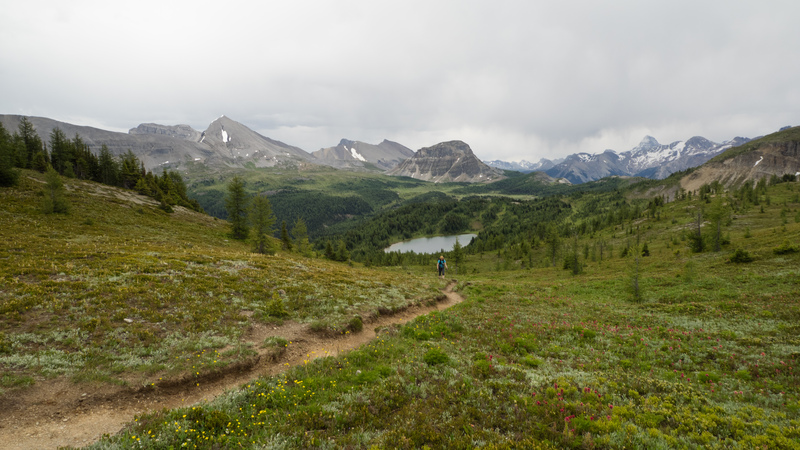 Citadel Lake is easy to overlook on the hike in, but is quite visible on the return leg. Crossing the shoulder of Quartz Hill before descending to the valley bottom closest to Sunshine Village. The total distance pushes this hike into the moderate category. For those who prefer to gain all their elevation in one direction, this is not the hike for you, since it’s a series of ups and downs over the entire distance.